The upward revisions to the top marginal personal income tax rate in the jubilee budget of Singapore, which was unveiled on February 23, 2015, surprised many sections of the Singaporeans. The top income earners, who earn at least $160,000, will have to bear a higher marginal tax rate from YA 2017. The highest earners, with a chargeable income above $320,000,have been slapped with the largest increase – the marginal tax rate for this tier will go up by 2 percentage points to 22 per cent from the current 20 per cent. The revised rates will apply for the incomes earned in 2016, and on taxes to be paid in 2017. Essentially, individuals with a taxable income of more than S$160,000 will be affected by the revisions and the impact will be much more pronounced for those who fall under the top income tiers. Presently the personal tax rate overshoots the corporate tax rate only beyond the S$200,000 chargeable income mark. From YA 2017, when the revisions kick in, the personal tax rate will overshoot corporate rate at S$160,000 chargeable income mark. Is there an increased propensity to evade tax through corporatization? The first reaction to the upward revisions was that there would be an increased tendency to avoid the higher personal tax rates by setting up companies to siphon the incomes. The incomes of the affected individual, when flowed through the company, would be subjected to a more competitive corporate tax rate of 17%. This will considerably reduce the tax burden on the top earners. Many of the affected parties may have speculated on the lines of corporatizing as a legitimate means of avoiding or reducing the tax burden. While it appears as a legitimate means to manage the tax liabilities, one must pay close attention to finer details to prevent any fallout with the taxman. Irrespective of the legality of the structure and arrangement, if the IRAS is able to prove that the intention behind the incorporation is to evade tax, then the delinquent will be subjected to personal tax rates. 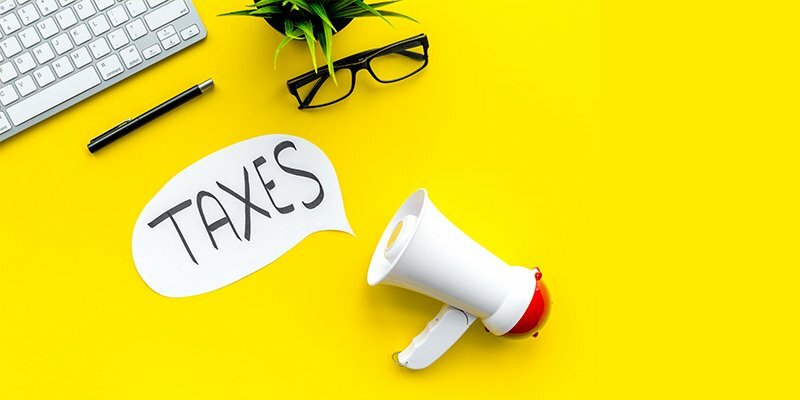 It is important to bear in mind that setting up a company with a deliberate intention to flow your incomes through it, in order to enjoy competitive corporate tax rate will land you in a quagmire of litigations. There are some signs of devious corporatization that will set off the alarm for the taxman. These signs indicate the lack of commercial, economic or operational substance in the entity. Some of the indicators are listed below; do take note that the list may not be comprehensive. If the new entity has only a sparse clientele from where all or most of the revenue is generated and if the sales invoices are made to entities that are related, it will reveal the lack of commercial substance. For instance, a top billing sales person of a company, in order to avoid excess tax liability, may choose to function as an external sales consultant. In this case, if he sets up a company it will invariably be an exclusive arrangement to meet the requirements of anti-competition clause of the arrangement. There is an obvious lack of substance in the arrangement. The nature of exclusivity and the purpose of arrangement will bring the newly setup company under the radar of the IRAS. If there is no other headcount in the scrutinized company besides the person, who would have otherwise been subjected to higher personal tax rates, or the employees are the next-of-kin to such a person, then it will be an obvious sign of a devious arrangement. The CPF contributions of the company will be scrutinized as a proof of headcount for this purpose. If the company’s business spending is insignificant or inadequate then it is a potential giveaway. Not incurring expenses in the form of rentals, utilities etc will reflect badly on the legitimacy of the entity. Transactions could be subjected to scrutiny and if there are too many transactions between related parties and such transactions have not been carried out at arm’s length then it will draw allegations of avoidance. Who may resort to incorporate a Private Ltd Company? Sole proprietors (SP) and individuals in Partnership and Limited Liability Partnership (LLP) arrangements, with an annual chargeable income of more than S$160,000 will be paying higher taxes from YA 2017. Such individuals, if they foresee revenue growth and have business expansion plans, will be better off if they incorporate a private limited company, provided they have substantial proof of substance. Such individuals may have chosen the SP, Partnership or the LLP business structure in order to keep the compliance costs low and to retain control over the business. However if the revenues are substantially higher and the prospects of business expansions and growth are brighter then it will be a prudent move to incorporate a company. Besides tax savings, this will bring other benefits such as limiting the financial liability of shareholders, improved access to funds, better identity and public perception and facilitate succession and transfer. Howsoever, the costs involved for incorporation, ongoing compliance and administrative encumbrances should be duly considered. The costs and burden on the resources should not become counterproductive and turn out to be costlier than the excess tax that one would have otherwise paid. More importantly the arrangement should not be devious and must have substantial proof of substance, else it is wise to pay the excess tax and save the peace of mind. Singapore’s tough anti-evasion stance will keep the corporatization activities, for the purpose of roundtriping incomes of top tier individuals, under check. The increase in marginal tax rate may be a departure from the global trend, however it is imperative to bolster the economy and to inclusively progress to the next phase of development. Besides taxes, Singapore’s attraction lies in its economic and political stability, sound regulation, low crime rate, rule of law and high standards of living. So despite the tax hikes Singapore will continue to attract top talent. We can assist you in your personal income tax filings and long-term tax planning. Contact us now for a free consultation.